As previously reported a long time ago, Larry Kramer's Tony Winning AIDS drama The Normal Heart will get the TV movie treatment by HBO. 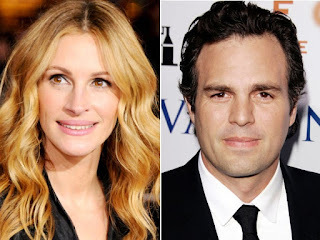 Directed by "Glee" creator Ryan Murphy, the movie will star Julia Roberts as Dr. Emma Brookner, Mark Ruffalo as Ned Weeks, and newly announced Matt Bomer as Felix Turner. Kramer will adapt the stage play for the screen which will debut in 2014. Are you excited? I am! Who else is on your wish list to round out the cast?